by their brother Patrick Branwell. From left to right: Anne, Emily and Charlotte." "the eldest of the trio of Brontë sisters whose novels have become enduring classics of English literature." 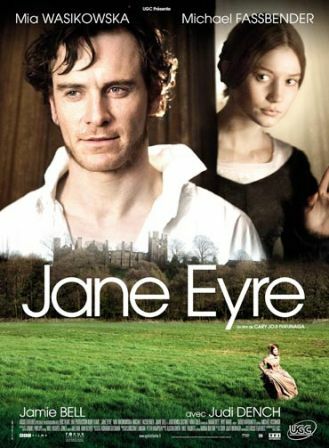 Jane Eyre "is a 2011 British romantic drama film directed by Cary Joji Fukunaga and starring Mia Wasikowska and Michael Fassbender. The screenplay is written by Moira Buffini based on the 1847 novel of the same name by Charlotte Brontë." 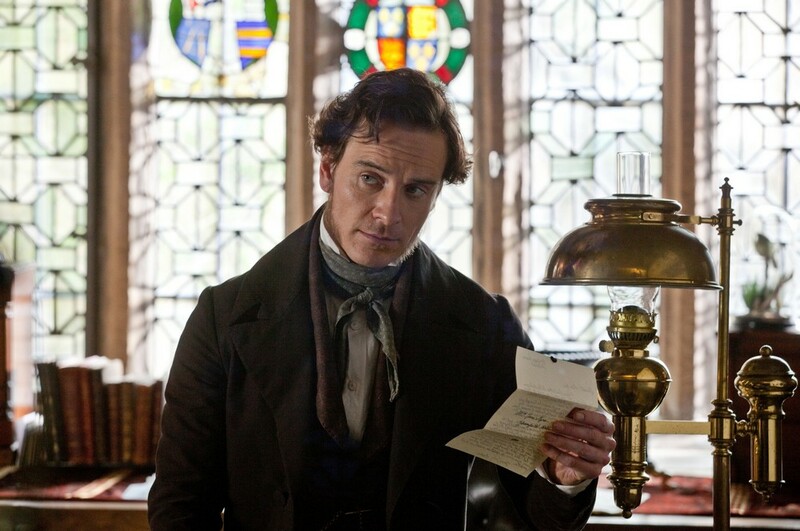 Jane Eyre - the film - based on the 1847 novel Jane Eyre by Charlotte Brontë. - "an English novelist and poet, now best remembered for her only novel, Wuthering Heights, a classic of English literature. Emily was the second eldest of the three surviving Brontë sisters, between Charlotte and Anne. She published under the androgynous pen name Ellis Bell." 'Wuthering Heights' is the only novel by Emily Brontë. It was first published in 1847 under the pseudonym Ellis Bell, and a posthumous second edition was edited by her sister Charlotte. The name of the novel comes from the Yorkshire manor on the moors on which the story centres (as an adjective; wuthering is a Yorkshire word referring to turbulent weather). The narrative tells the tale of the all-encompassing and passionate, yet thwarted, love between Heathcliff and Catherine Earnshaw, and how this unresolved passion eventually destroys them and many around them." "is a 2011 British romantic drama film directed by Andrea Arnold and starring Kaya Scodelario as Catherine and James Howson as Heathcliff. The screenplay, written by Andrea Arnold and Olivia Hetreed, is based on Emily Brontë's 1847 novel of the same name..."
"A poor young English boy named Heathcliff is taken in by the wealthy Earnshaw family where he develops an intense relationship with his young foster sister, Cathy." Lyrically, "Wuthering Heights" uses several quotations from Catherine Earnshaw, most notably in the chorus - "Let me in! I'm so cold!" - as well as in the verses, with Catherine's confession to her servant of "bad dreams in the night." It is sung from Catherine's point of view, as she pleads at Heathcliff's window to be allowed in. This romantic scene takes a sinister turn if one considers the events of the book, as Catherine may well be a ghost, calling Heathcliff to join her in death."